This year we had three Thanksgiving meals! Blessed this year for sure! First a family from church invited us to their Thanksgiving meal. 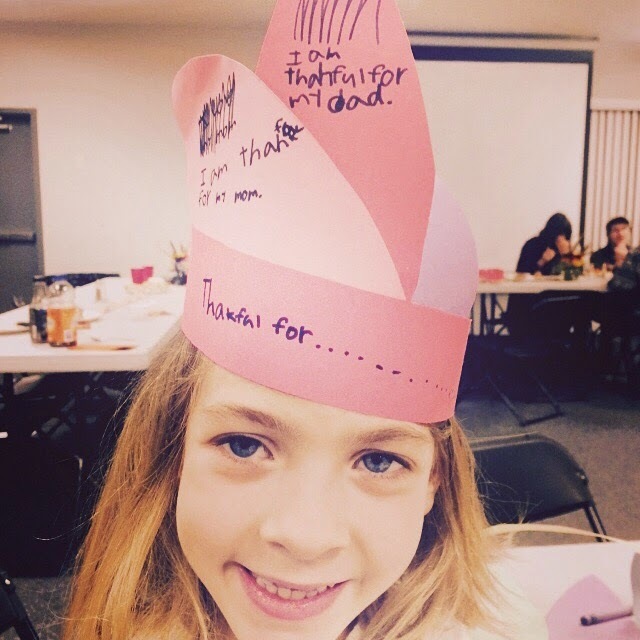 Second we helped cook and eat at our local community Thanksgiving meal. Thirdly we traveled to Grandma's house for some family time! It was the first real snow fall of the 2014 winter season and when I woke up and saw the conditions I knew it would be a long and slow commute but this girl is from Wisconsin and can handle a little snow driving. 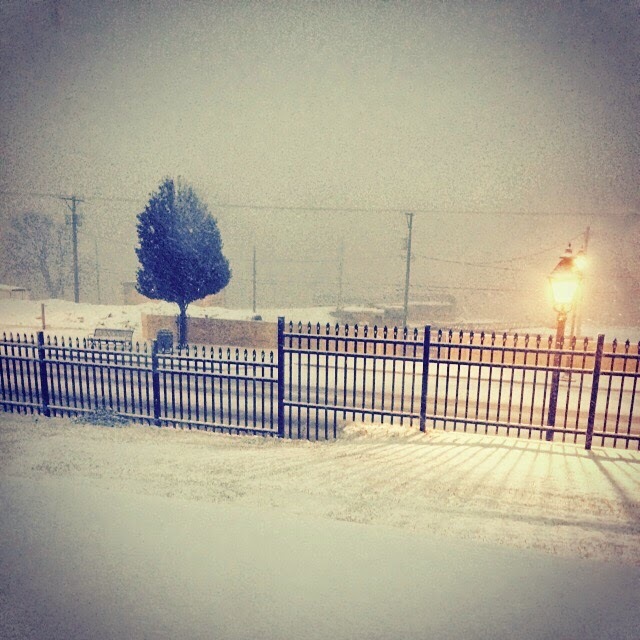 Here was the view from my window before leaving for work. It is hard to see but it was snowing and very windy. I was driving cautious and at speeds of 30-40 most of the way. I had to decide what route to go and after debating as I drove I picked the route I thought would be best but sadly that route had me in the ditch. Here I sit in the ditch about 20 minutes from home and all before 8am. I was going very slow and the slush just pushed me off the road with the help of the wind. I was very upset! The last available day to plan an order and have it received by Christmas is December 17th. December 17th. My Review: I know NO Shave November is in full swing but let me tell you it is about time to grab for a razor! December is almost here and don't let your face get angry with a dull razor. ShaveMob has razors for him or her and with there great stocking stuffer package your sure to bring smiles on Christmas morning. I have used ShaveMob razors for quite some time! I reviewed them a year ago and still have been using the big supply of razors. Make sure you put something that they need in their stockings... something like ShaveMob razors! Hope it encourages you to say THANK-YOU to the ones who impacted you! 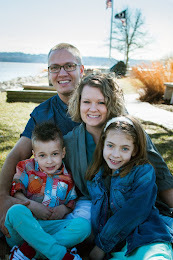 As a christian parent it is so easy to get caught up in the worlds view of Christmas. Every where you look is Santa Claus. 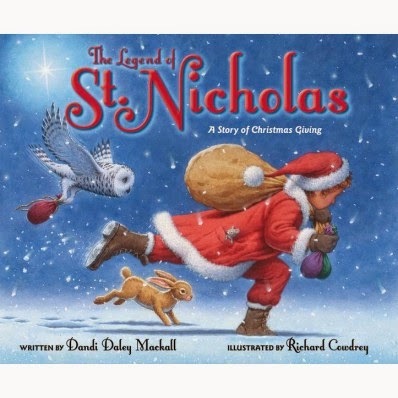 I have always enjoyed the history behind St. Nick and this story not only captures the true meaning of Christmas it also inspires kids to take a look around and fill a need rather then receiving. Southwest Beverages manufactures and sells premium quality gourmet flavored dry mix beverages under the brand names, Sippity®-hot cocoa mix and Kemosabe®-gourmet coffee. All of our products are ready-to-serve, easily dissolvable, 99.9 % caffeine and 100 % gluten free and contain all the ingredients necessary for you to simply add water, microwave and then experience Comfort In A Cup®. Our Sippity Lite® and Kemosabe Lite® products offer the same great taste and full body aroma as our regular products but with less than 2 grams of sugar per serving. WHAT?! You want me to spend time with my family?! That's stressful and painful and long hours of talking about Grandpa's latest ailment - how am I supposed to get through that?! Raise your hand if you played school as a child? Like many of you my hand is up and ironically I am a teacher! My 7 year old daughter has been playing school almost daily since we got this play school toy from Lakeshore Learning. My 3 year old son tends to be the student most of the time and I think my daughter is actually doing a good job and helping him learn many things! 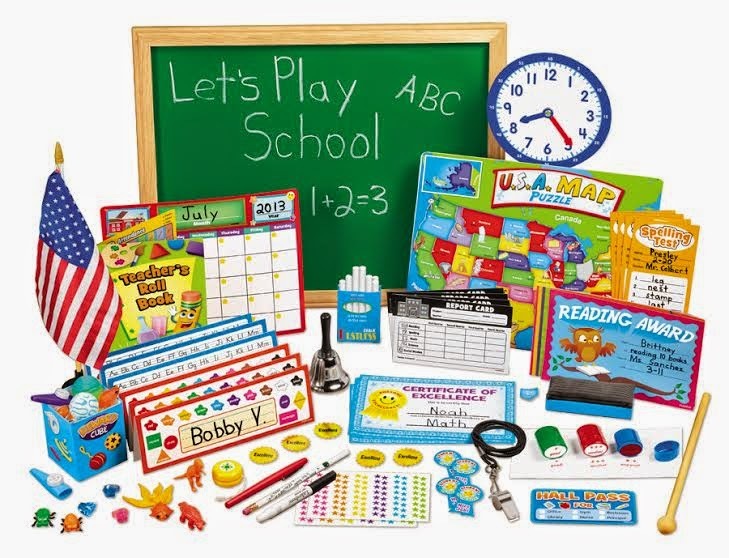 The Let's Play School Kit sell's for $49.99 and includes over 65 pieces including the chalkboard, pointer, name tags, stampers, and much much more! My daughter is a first grader and loves teaching her brother his numbers and letters. The stamps and fidgets seem to keep her little brother playing with her. It amazes me how patient they both are with each other. My favorite part of watching them is when they stand up to do The Pledge of Allegiance. I highly value this and makes me proud that my daughters school values it and say it daily! 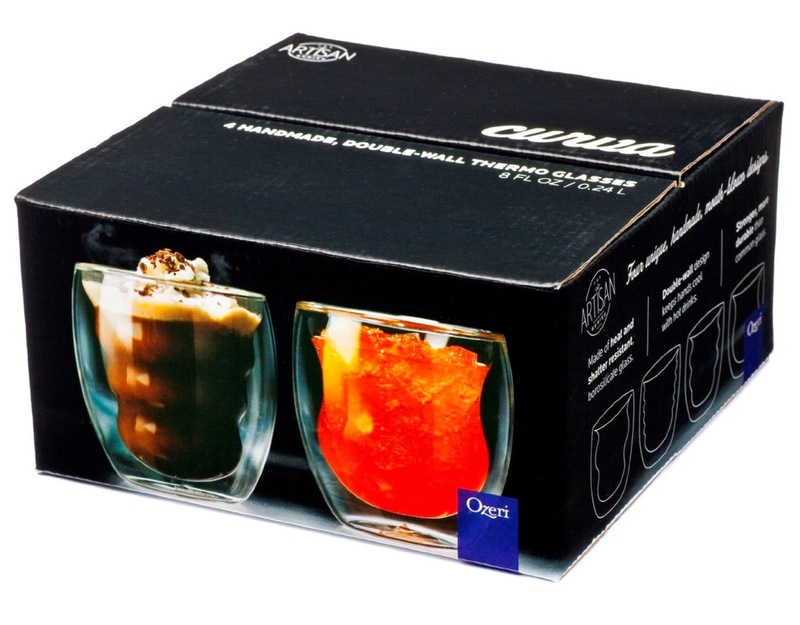 Set of 4 handmade, double-wall thermo glasses, each glass boasting a unique curvature that holds 8 ounces.Artisan series unique double wall design suspends drinks within an inner wall for an engaging optical effect.Each glass made to keep your hands cool with hot drinks, and free of condensation with chilled beverages.Completely dishwasher, microwave and freezer safe. Ships in an elegant 4 color printed box with a 1 Year Warranty. Satisfaction Guaranteed.Made of heat and shatter resistant borosilicate glass, which is stronger and more durable than common glass. 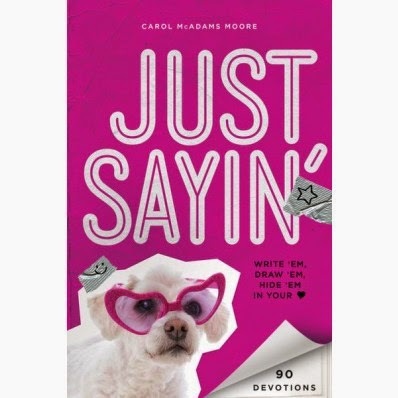 Just Sayin’ is not your typical 90-day devotional for girls. 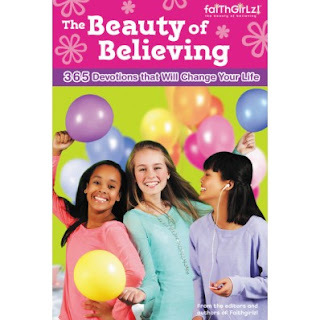 It’s an all-out open space for girls 8-12 to explore and learn more about themselves and their faith, using creative, wacky applications and doodles to teach Bible truths. Soft heart, hard heart, which R U? Throwing stones? No! Stop the rocks. 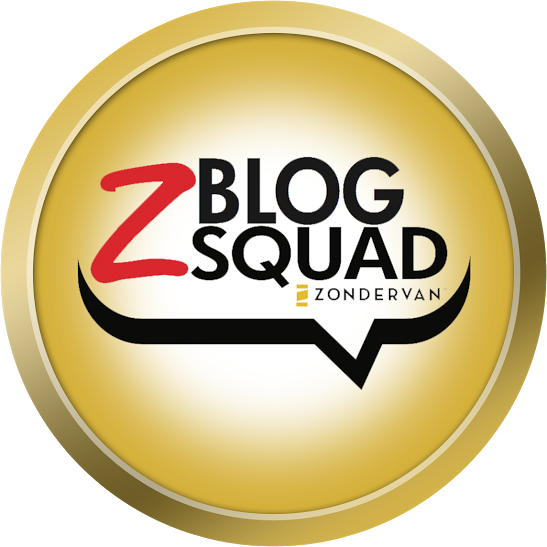 Silver, gold—B.L.I.N.G. That is Y-O-U in God’s eyes. 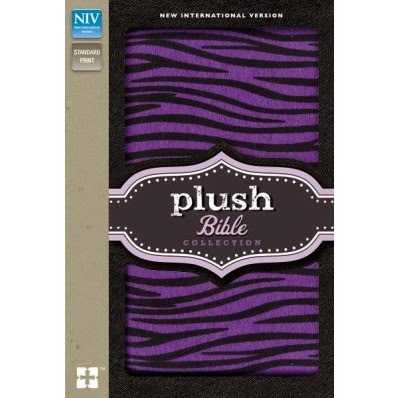 Just Sayin’ isn’t your typical 90-day devo for girls. It’s an all-out open space for you to explore and learn more about yourself and your faith. Prompts get your mind thinking, ideas flowing, and help turn your thoughts and emotions into dynamic doodles and more! Each of the short, single-page devos were designed for girls just like you, with relevant topic, quotes, Scripture, plus doodles, journal prompts, lists, puzzles, quizzes, fill-in-the-blank prayers, and unique activities that explore Bible truths and ways to apply them—everyday. 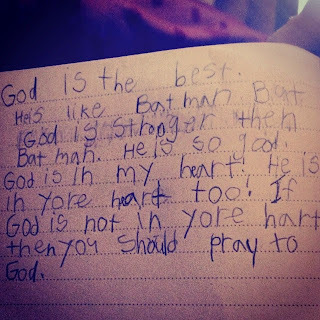 Just Sayin’ challenges girls to follow Jesus every day. Best. Idea. Ever. 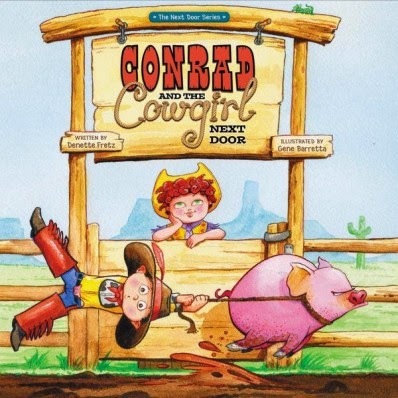 Conrad and the Cowgirl Next Door, written by Denette Fretz and illustrated by Gene Barretta, tells the tale of a city slicker named Conrad whose biggest challenge during his summer of cowboy training is the know-it-all cowgirl next door.